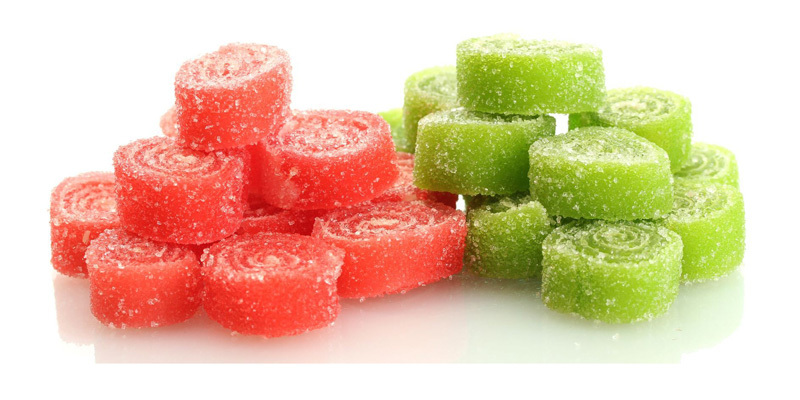 Which multihead weigher do you need for packaging of sticky products? Each product has its own unique characteristics, and these have to be kept in mind during the designing of the product’s packaging. 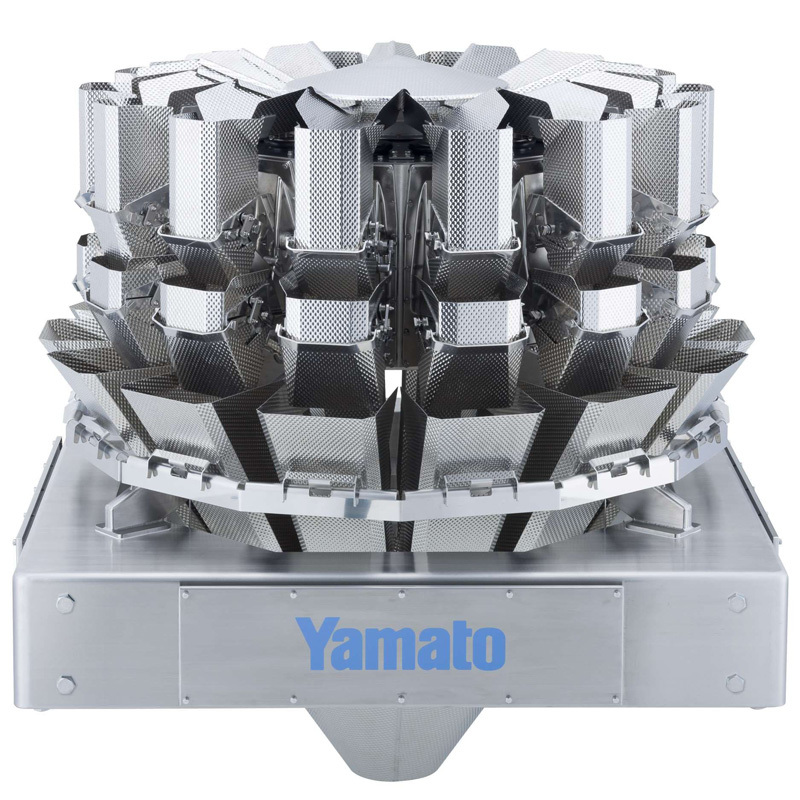 As an established manufacturer of dosing weighers, Yamato Scale provides the optimal multihead weigher for virtually any product. The correct configuration of a dosing scale – mechanical as well as electronic – has a decisive influence on its productivity. Our most important tips for the weighing and packaging of very sticky products. Avoid plain plates for the surfaces that come in contact with the product. These would result in the product sticking to the surface, leading to an irregular feeding of the product into the packaging. Ridged materials are the surface of choice here, for example the specially designed so-called Yamato Dimple. Narrow, v-shaped linear feeder pans allow you to achieve an exact dosing, as they prevent large amounts of product from falling into the weigh buckets all at once. Choosing the correct discharge is essential in determining the performance of the weigher. Specially designed discharge gate enables a high speed discharge. To increase the speed even further, the use of a 2-point or 3-point discharge is recommended. For these applications, the technological development of the multihead weigher is crucial. 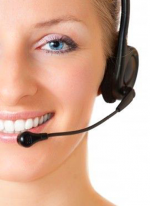 Be sure to choose a manufacturer who has experience with sticky products and whose technology has proven its efficiency and reliability. Yamato Scale’s OMEGA series provides you with the perfect machines for the weighing of winegums. The high-performance ADW-O-0128F is a further development of the Frontier line and belongs to the best worldwide in its category. And here is our final and most important tip. It applies to all applications of multihead weighers. Before making an investment decision, be sure to test the weighing of your original product in a realtime setting. The characteristics of the product have to be analyzed in order for a correct configuration of the weigher to be made possible. Moreover, we will offer you a comprehensive consultation while designing your ideal multihead weigher in joint cooperation with you. This service offered to you by Yamato Scale is not binding. Do not forget: only the choice of the RIGHT multihead weigher guarantees you an optimal packaging process! Yamato Omega series multihead weigher, ADW-O-0314 in dimple. 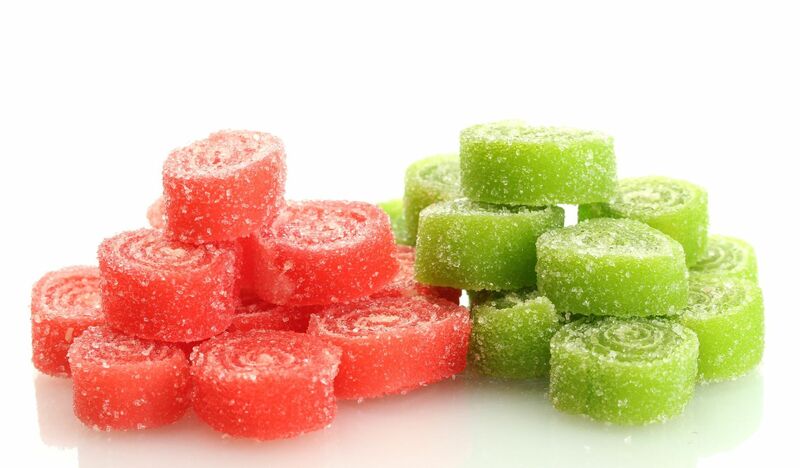 The world’s best solution for the weighing and packaging of sticky products such as winegums and dried fruit.